Main Room all decorated with an overlook of the backyard. The Dickinson House is a recreational facility built in 1941 for the residents of Oglesby through the cooperative efforts of Bertha K. Evans and Marquette Cement Company in memory of Theodore G. Dickinson. Dickinson was founder and builder of the Marquette Cement plant in Oglesby in 1898 and President of Marquette Cement Manufacturing Company to the date of his death, July 2, 1933. Today, the community center, located on the south side of town at 440 Dale Avenue, is owned by the City of Oglesby and is assisted in its operation and renovation by the Dickinson House Foundation. The building features two meeting rooms, one on the main floor and the other on the lower level with kitchen areas, along with a conference room on the main floor. The facility is a meeting place for many local organizations. 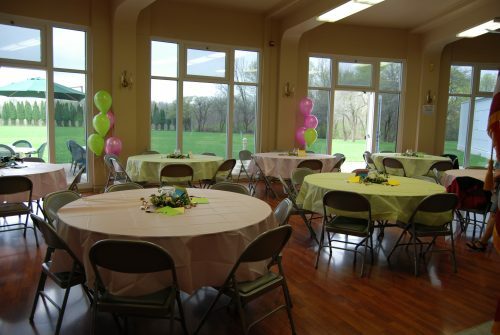 The facility hosts many social events including bridal and baby showers, birthday, graduation and anniversary parties, and funeral receptions. 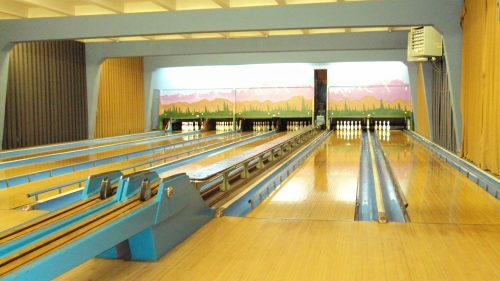 The Dickinson House also features a six lane bowling alley where many bowling/birthday parties and activities are held throughout the year, including a youth bowling camp and youth bowling leagues. The alley can be rented everyday of the week from starting at 10 AM until 8 PM. 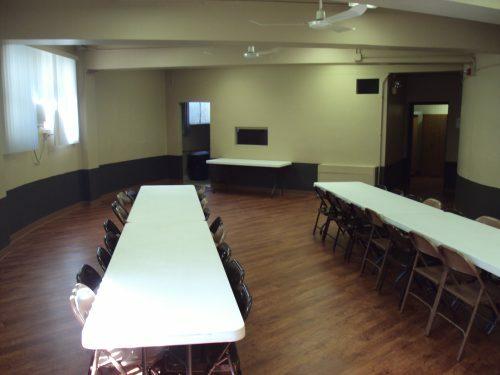 Groups or individuals wishing to use the Dickinson House for a meeting or event, book a bowling/birthday party, provide financial assistance or are in need of additional information, should contact the Oglesby Parks and Recreation Department at (815) 883-8121. The Main Room features a beautiful view of the backyard of the Dickinson House, round tables and seating for approximately 70 guests, a fireplace, pocket kitchen, and flat screen TV with a DVD player. *Required to be a separate check. Security Deposit will be returned upon final inspection post-event by City of Oglesby. Shoes, balls, bumpers included in the hourly fee. Bowling alley can be rented from 10AM – 8 PM seven days a week, excluding major holidays. Must have a two week notice. The downstairs meeting room features a full kitchen with stove, sink and refrigerator, and seating for approximately 50 to 60 guests. There is seating for 30 bowlers and additional seating for spectators. No food allowed in the bowling alley.